So what are you doing at 12 noon (Eastern Standard Time) today? In case you do not have anything better to do, or you just feel like slacking on a Tuesday morning, why don’t you tune in to the biggest duel of the year? The Web has been abuzz with news about the new Old Spice Guy, Fabio. Just in case you have been hiding under a humongous rock, let me tell you a little about Fabio. He’s this Italian fashion model/actor who became world famous because of his appearances on the covers of tons of romance novels. You know that hunky guy with long, flowing, blond hair? That’s Fabio. Why Old Spice has chosen him to be their new brand ambassador, I have no idea. But whatever floats your boat. 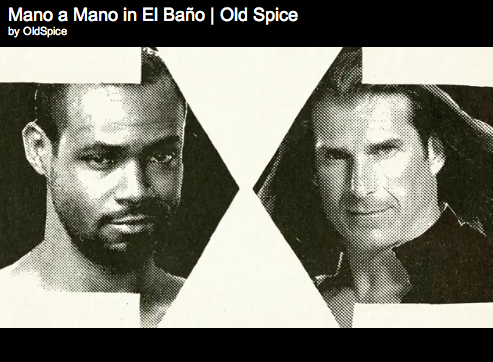 Anyhow, Fabio released a video yesterday challenging hunky Isaiah Mustafa, the old Old Spice Guy. And this is how he did it. Not to be outdone, the old Old Spice Guy made his own video in response. The result? Mano a Mano in El Baño. Of course we all know that this is a mere marketing ploy, but there are many suckers for this kind of thing. I might even be one of them. Well we have several hours. May the best d-bag ambassador win. ((I take that word back. Isaiah Mustafa is one fine guy.)) Who are you betting on?